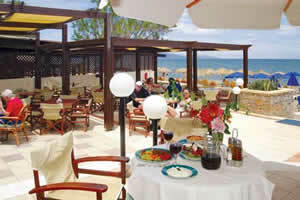 Chara Apartments are located in the beatifull village of Agia Marina. 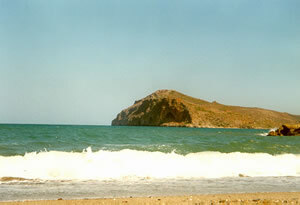 Only 8 km west of Chania, you can enjoy the big sandy beach opposite of Agii Theodori Island, which is a protected area. It differs from the other villages of the west, because of the nice life. Here you can find some nice tavernas and shops for souvenirs or everything you want. 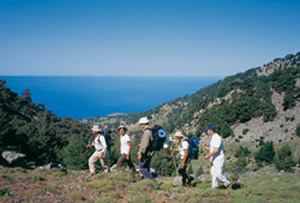 Agia Marina is rounded with green hills, with olive trees and grapes, and has beatifull walking paths for everyone that loves walking. Of course you are not trapped here... Every 15 minutes, the local bus can transfer you to Chania, to explore the rest of the area.